Vo Trong Nghia Architects has designed a city hall for the Vietnamese city of Bac Ninh comprising a pair of planted towers, which lean together at the centre to frame a series of elevated viewing decks (+ slideshow). The Vietnamese studio, which is known for its plant-covered architecture and bamboo structures, designed the two verdant blocks for a seven-hectare-site in the centre of the city, which is located in the north of the country. Named The Green City Hall on account of its planted terraces, the building demonstrates the local government's ambition to develop a more energy-efficient city. It is one of a series of projects by the firm that used planting to express its green credentials. 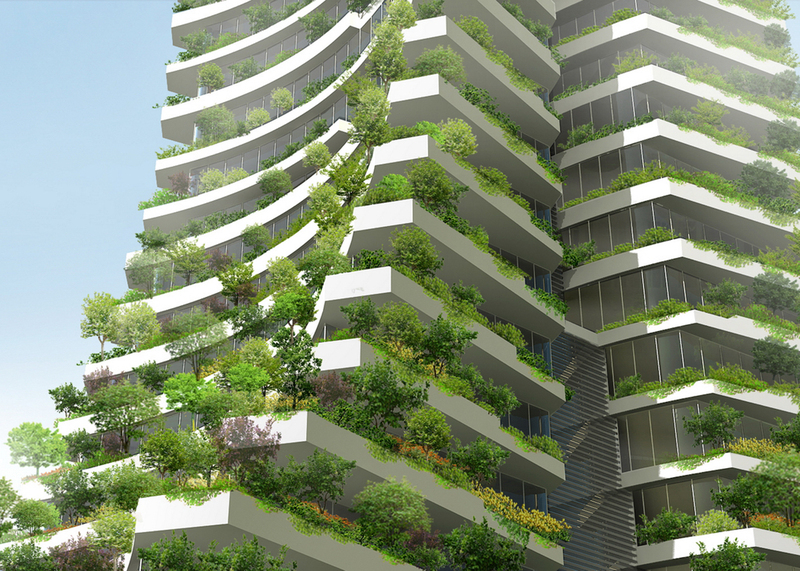 "The city hall is designed as a vertical park to provide a greener landscape for the city," explained the architects, who conceived the towers as a series of planted observation terraces. 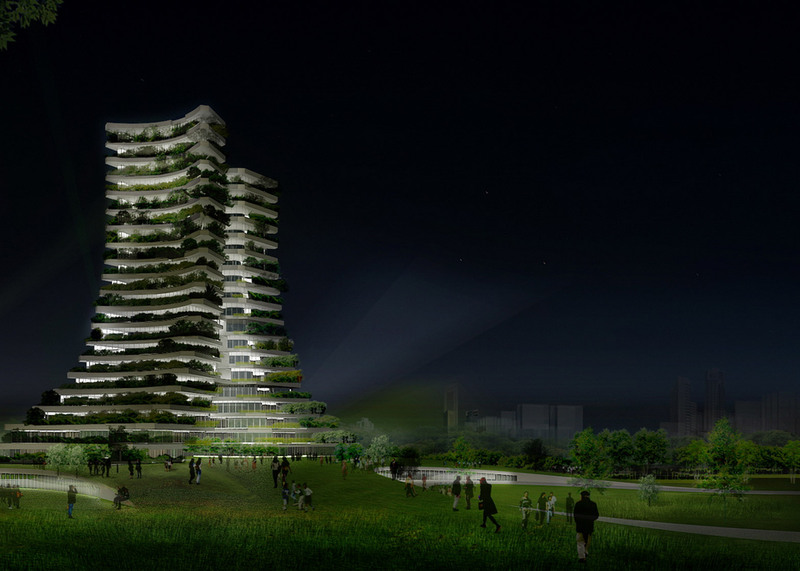 "The proposal is conceived as the catalyst for the future green development of Bac Ninh City," said Vo Trong Nghia Architects. 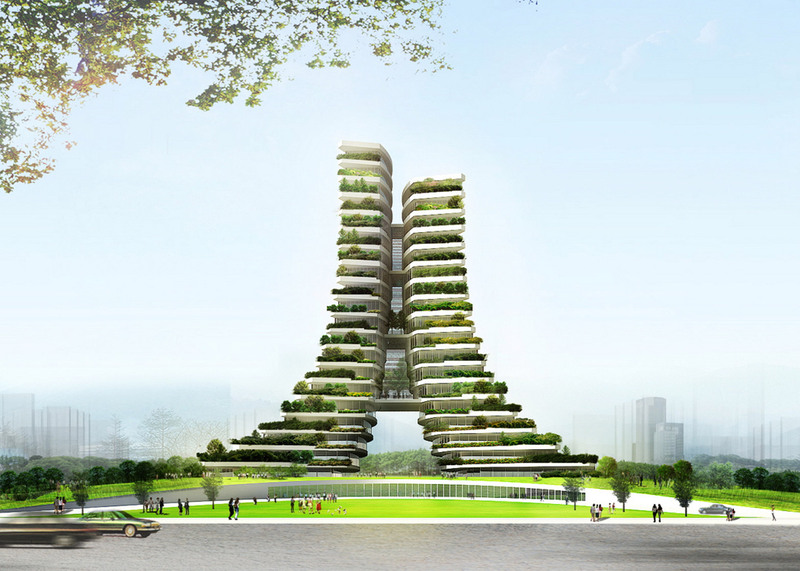 "[It] is perceived as the new symbol of the city, which unites both greenery and culture together." One tower is designed to contain the government offices, while the second will house a citizen centre and party office. 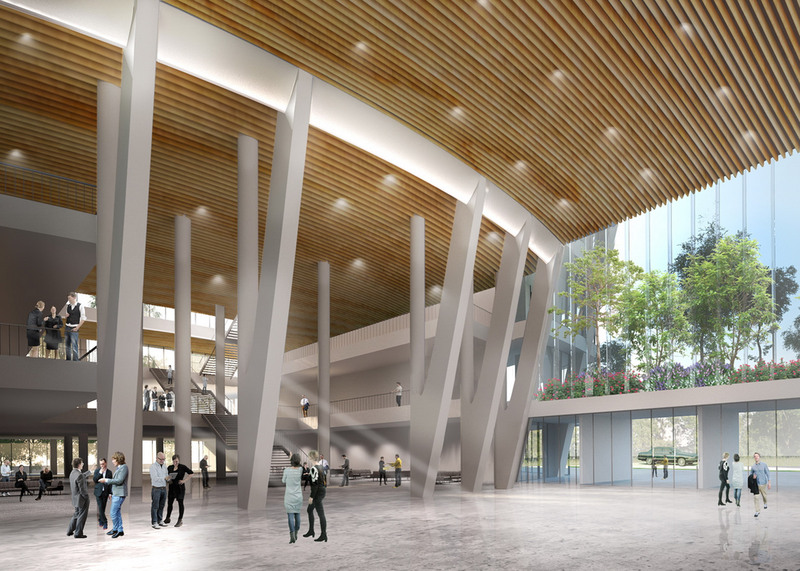 The two blocks, which will have a combined floor area of 36,000 square metres, lean towards each other in a symbolic gesture that is intended to present a mutual respect between government and citizen. 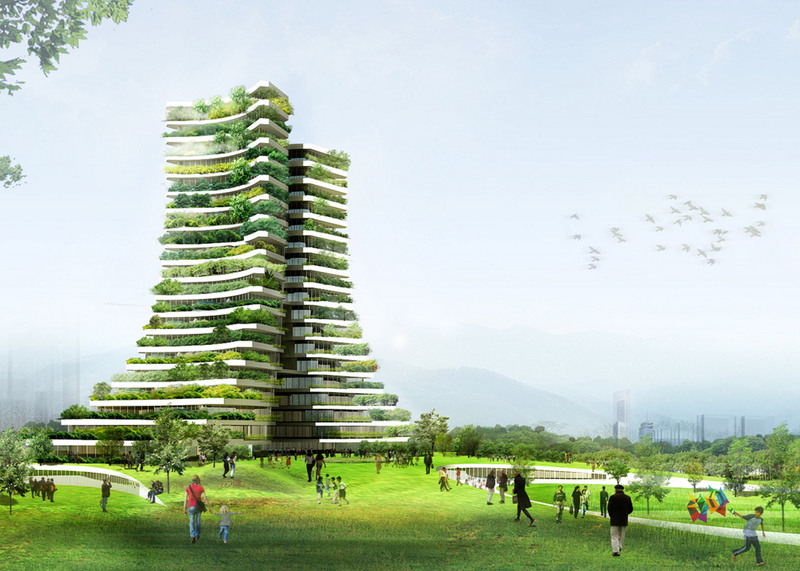 Renderings show the towers linked at four points between the seventh and 18th floors by planted walkways, as well as by a grass-covered base. This ground floor segment of the scheme is intended to house a cultural centre, and features a long glazed facade overlooking a stretch of lawn and a road. 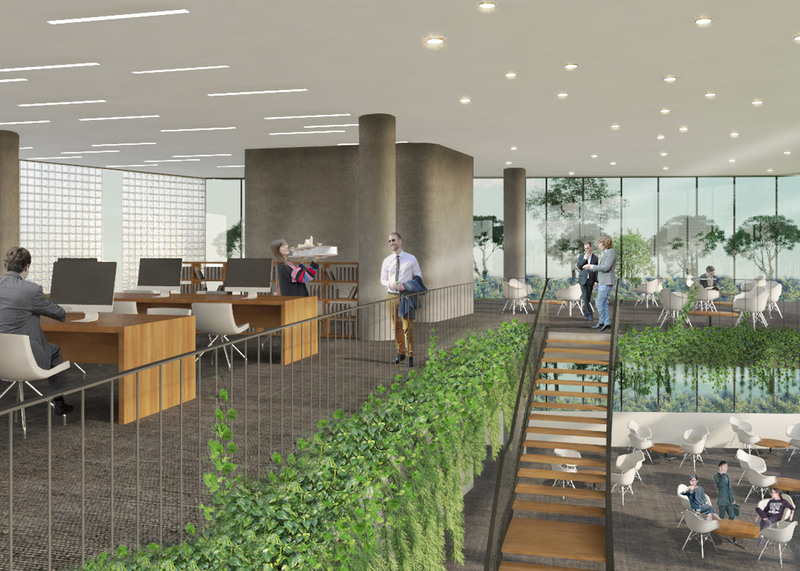 An observation deck set on the uppermost floor is intended to allow the city's residents to enjoy views over the urban centre and the surrounding parklands. Studio founder Vo Trong Nghia is an advocate for sustainable design, and has previously spoken to Dezeen about his belief that bamboo could replace traditional construction materials in architecture – claiming it will become the steel of the 21st century. 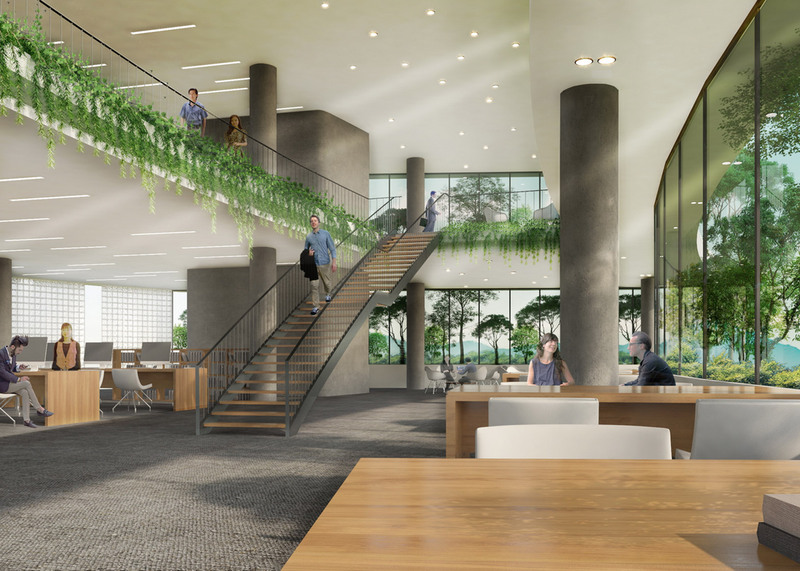 Among the firm's recently unveiled plans is a trio of bamboo plant-covered towers linked by aerial bridges and a tree-covered university.